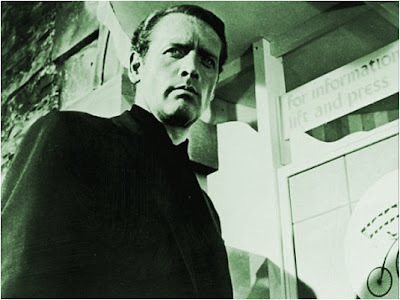 This won't be news to anyone of course, but I couldn't allow the passing of Patrick McGoohan to go without a mention on this blog. As Danger Man, McGoohan was already a hero figure for the infant Millidge, but his subsequent TV programme The Prisoner influenced not only a large part of writing, but also my philosophy on life. I wrote about McGoohan's masterpiece in my fanzine Amon*Spek in 1980 or so, and also in the text pages of my Prisoner-influenced comic book series Strangehaven some twenty years later. I suspect it won't be the last time.